Did you know that Puntarenas translates to “sand point” in English? This makes sense when you consider its expansive coast populated with beaches and mountains along the Pacific Ocean. Puntarenas is the country’s biggest province at 4,350 square miles and is a haven of beautiful beaches, inlets, islands and more thanks to its jagged coastline. Tourism is relatively new to Puntarenas. Previously, people only passed through on their way to cruise ships and ferries but now visitors are discovering its miles of secret beaches, diverse wildlife, and friendly locals. The most popular time of year to visit Puntarenas is during the dry season from December to April for travelers looking for perfect beach weather. Temperatures hover in the mid-80s and rain is rare. However, flights and accommodations rise in price accordingly during the high season. January is the busiest month, based on Google searches. From May through November, fewer tourists visit Puntarenas due to the rainy season. During these months, if often rains between 10 to 18 days per month. However, temperatures are still in the mid-80s, however, and hotels offer good rates. Visiting during the rainy season may be a good option for travelers who want to spend longer in the region. This can also be an ideal time to visit for adventurous travelers who are looking to surf or hike through the country’s lush forests. You may also want to plan your visit around some of the town’s annual festivals. Visit in late February to take part in the colorful Carnival of Puntarenas featuring carnival staples like local food, live music, and fireworks. The main city in the province, also named Puntarenas, is primarily a port. The city itself juts out into the Pacific Ocean and is just four blocks across at its widest point. Most tourists spend only a few hours in the city, but we think it’s worth spending a few nights here and getting some exposure to how locals live in Costa Rica. On first glance, the town looks like a fishing village that has seen better days. But the city’s proximity to San Jose has made it a popular destination for Costa Ricans who flock here in droves over the weekends. What does that mean for international tourists? It gives them the opportunity to experience authentic Costa Rican life. You can hire some of the local fishermen and enjoy a relaxed and self-guided tour of the Mangrove Forest located on the north side of the peninsula. Besides the unique landscape of the mangroves, you’ll like catch sightings of crocodiles, herons and other wildlife while you’re in the mangroves. One of the city’s main tourist attractions is the Paseo de los Turistas. Meander along this beachside boardwalk that stretches along the town’s coastline. It starts with the behemoth cruise ships at the eastern tip of the town and then winds past kitschy souvenir stalls that you can skip and some very worthwhile local restaurants known as kioscos. Make sure you try a Churchill, the famous local dessert made from shaved ice and ice cream. It is based on the Costa Rican copo. The Churchill takes the copo even further adding kola syrup, condensed milk, and powdered milk to create a sweet and refreshing treat that’s perfect to beat the heat. Rumor has it that it was named in the 1940s for the British prime minister! Culture buffs will want to visit Casa de la Cultura, Casa Fait and the Marine Historical Museum of the City of Puntarenas. Casa Fait is widely recognized as one of the city’s most iconic buildings. Designed in the 1920s, the building has an eclectic mix of architectural influences. The Casa de la Cultura is an art gallery and performance space complemented by an outdoor statue gallery. The museum, albeit small, presents a quaint collection illustrating the city’s maritime history and features the wide biodiversity of the province. There are even a set of creepy skeletons! We think it’s a great way to get a bite-sized history of the town. Finally, while there is a beach in Puntarenas, Costa Rica, neither the water nor the beach itself is very clean due to it being a fishing port, so we recommend booking tours to nearby beaches and islands. That said, the narrow strip of land makes it a perfect spot for watching the sunset! For all Puntarenas’ local charm, you’ll be ready to jump to the next place after a day or two of exploring. Luckily, there are many exciting places to go from here! A 90-minute drive inland from Puntarenas brings you to the beautiful and lush area of Monteverde. This region is especially popular with nature and animal lovers and is famous for its conservation efforts. Some of the popular tourist attractions in Monteverde include the Monteverde Biological Reserve featuring wildlife and stunning hiking trails, and the milk cooperative where you can try ice cream, cheeses of the region and more. Known as a surfer’s paradise, the beaches of Nicoya are populated by young, carefree surfers. Expect to see beautifully tanned bodies lounging around wooden shacks selling cold beers and renting surfboards. Can’t decide between beaches and mountains? Head to Tortuga Island which is accessible only by boat. This pristine island is part of the Islas Negritos Biological Reserve off the Nicoya Peninsula. Keep your eyes peeled during the ride from Puntarenas to Tortuga Island for whales and dolphins playing in the Pacific! Once you reach the island, there is no shortage of activities. You can relax on the beach and work on your tan, or hike through the island’s dense forests. Even though it’s a remote island, enterprising vendors have set up stalls where you can rent loungers, umbrellas, snorkeling masks, kayaks and more. The island is a popular destination for dive trips as well. Besides the colorful fish, manta rays and even sharks, there are actually three shipwrecks of the cost of Tortuga Island that divers can explore! Ready to escape the endless winter of North America? 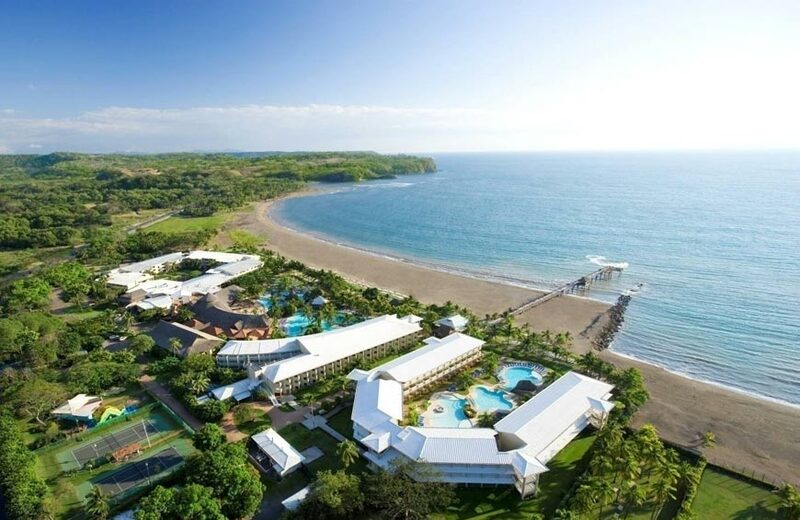 Start planning your Puntarenas, Costa Rica getaway. Costa Rica is a beautiful country with tons to explore so the best way to make the most of your trip is to get a hand from the experts at the Best of Costa Rica tour agency.